“Picture Perfect” or My Career thus Far! I received an email a few months ago from a teacher, requesting that I allow a grade 7 student to interview me on my career choice of being a photographer. I was honoured to be chosen and to talk to G, grade 7 student. G is a gentle, soft-spoken soul, who takes her school work seriously. I thoroughly enjoyed meeting her. she had this teacher she really liked, and that inspired her to become a teacher like her. that gave her the thought that she could do that as well. She loves her job especially if she takes a picture of a child. It makes her really happy. she thinks that she made a really good choice, and that it’s the best thing ever. I like the way that G used some “poetic license” when writing this. The voice inside my head; of course was my own voice. It is true, that I knew it was time to retire. I had had many good years of teaching and had seen teachers who kept teaching when they were burned out, when they no longer had the drive and enthusiasm that they once had. I did not want to ever be one of those teachers. It was a good decision. I loved teaching but it was time for a change. Photography has been a blessing for me. I love taking photographs of children and babies and anything else that inspires me! 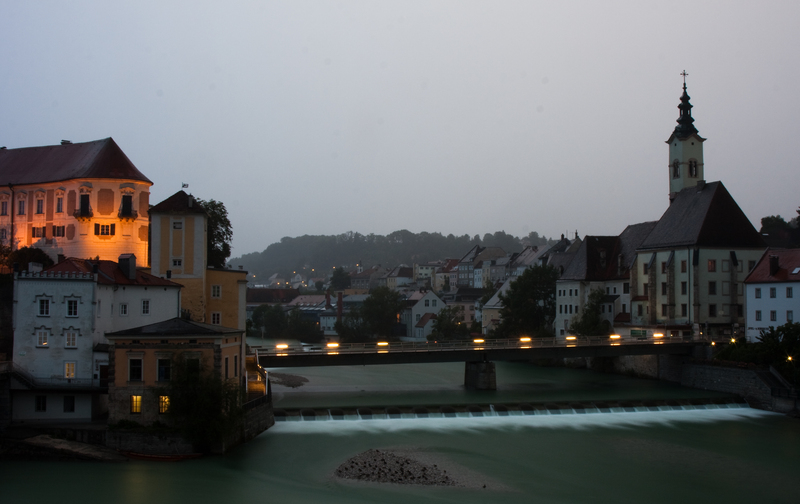 BTW: The place where I was born is Steyr, Austria, a beautiful city with some of the oldest architecture in Europe. The spot with the lovely view was a hotel I stayed in the last time I was there. Thank you G for this wonderful experience and the great essay!